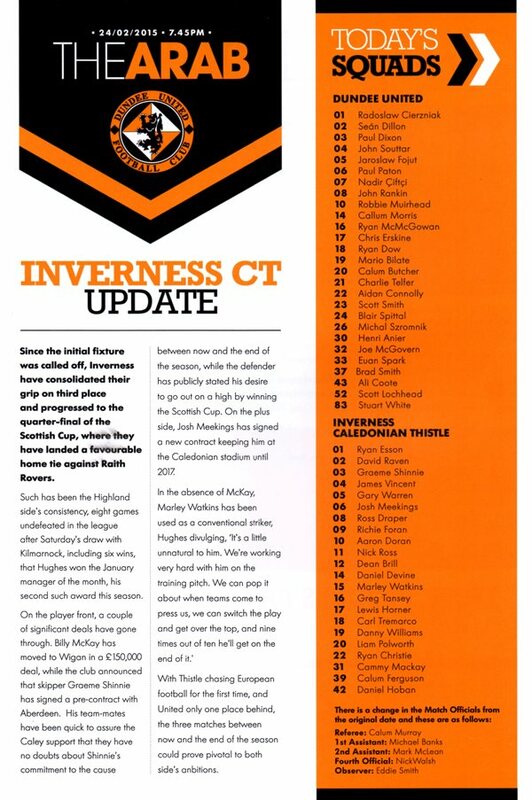 United made two changes to the starting eleven for the visit of Inverness. Chris Erskine and Aidan Connolly replacing John Rankin and Henri Anier. John Souttar returned to the squad. 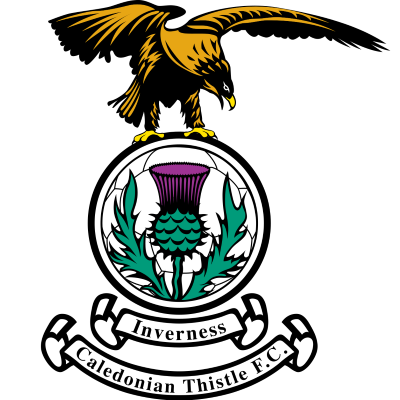 Inverness started the game unchanged from their 3-3 draw with Kilmarnock on Saturday. A large crowd took advantage of the £5 entry fee for this re-arranged match. The game started in the manner it would continue when David Raven was booked for a trip on Ryan Dow. Despite a good start, United were shell shocked when after five minutes they conceded a penalty and had their 'keeper sent off. Watkins latched on to a Shinnie through ball, tried to round the keeper but was tripped by the hand of Szromnik. After a lengthy delay as Cierrzniak replaced Erskine, Greg Tansey popped home the penalty. Despite being a man down United looked threatening and went very close when Dow shot just wide. Raven then had a chance when he found himself in a fine position but Dixon made the tackle to thwart Caley. Dow then tested Esson but the 'keeper was equal to it. Caley could have doubled their lead when a Christie cross was touched on by Watkins but Warren nodded to high from close in. United made a very positive start to the second half. 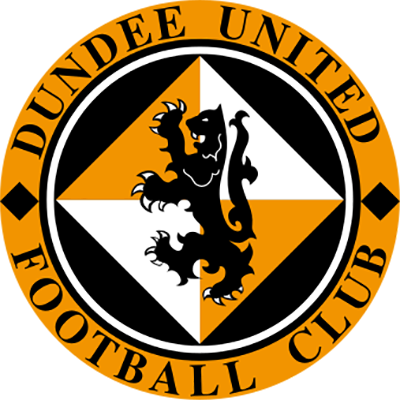 Connolly played a fine pass in to Dow who was thwarted by Esson and then Butcher teed up Ciftci but the United striker could not convert. United fans were up in arms when Raven crashed into Dixon but despite awarding United a free kick the referee spared the Caley defender a second yellow card. With an hour on the clock Fojut made a great block from Christie and then Draper fired over from long range. As the game edged towards the final whistle, United grabbed the equaliser the home crowd craved. Dillon swung a cross into the box and Ryan McGowan hooked a shot at the second attempt that deflected past Esson. With United now looking for the winner, Robbie Muirhead replaced Connolly. However, with five minutes left the visitors almost grabbed the three points. Dow conceded a foul and a rasping free kick from Tansey was tipped over by Cierzniak. In the dying moments of the game Warren was given a straight red for an off the ball incident that also saw both Ciftci and Dixon booked. “Aggressive is not something we normally mention with our team but I was happy with the spirit and response from an early setback by going down to 10 men. To be honest, I thought we were the better team with 10 men. It's a red card. Being so early you'd have preferred he went through and scored and then we'd have had 11 men on. Then I had to make a decision and unfortunately I've had to take one of the forwards off in Chris Erskine. It was really disappointing for him and for us. The least we deserved tonight was a point if not the three."